Sara first became interested in alternative therapies in 2002 when she started using them to treat a number of stress related symptoms whilst studying for the bar and working in London in the city. Following the birth of her first child, Sara decided on a change of career and has been a qualified massage therapist since 2010. 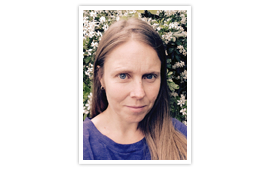 Sara has recently relocated from London, where she was part of a busy Holistic centre, for a quieter life in Whitstable. As well as family life, Sara spends her time working between London and Whitstable. Sara offers a range of Massage Treatments but tailors her treatment to the individual’s needs as opposed to a style of massage. Sara conducts a postural assessment where needed to assess the best treatment plan. Sara is a member of The Federation of Holistic Therapists.